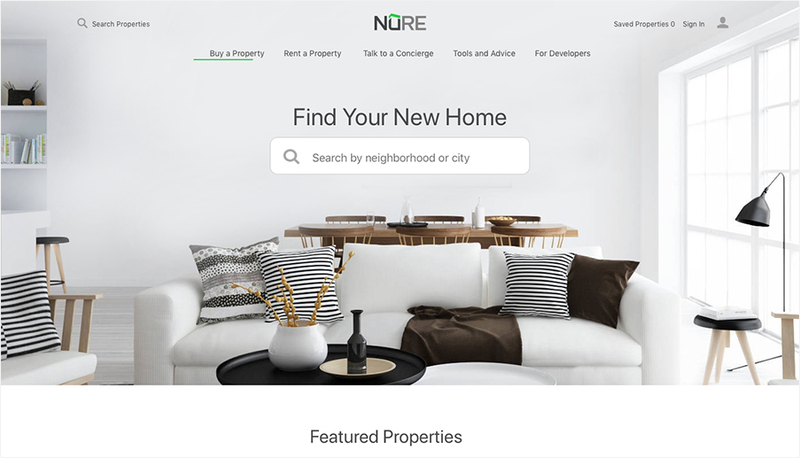 NuRE Holdings, Inc is an integrated real estate and technology company committed to transforming the real estate experience through the unity of people and technology. 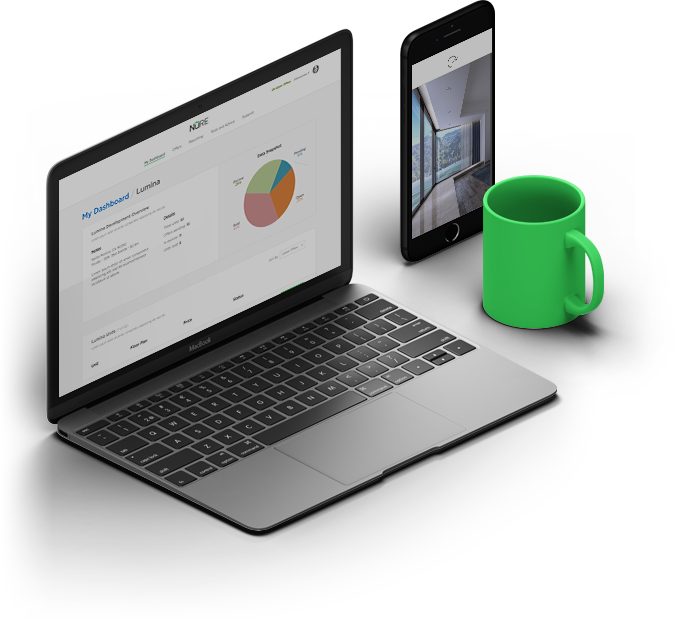 The NuRE platform combines the sales, mortgage, insurance, and HOA management elements of real estate transaction into a single location. 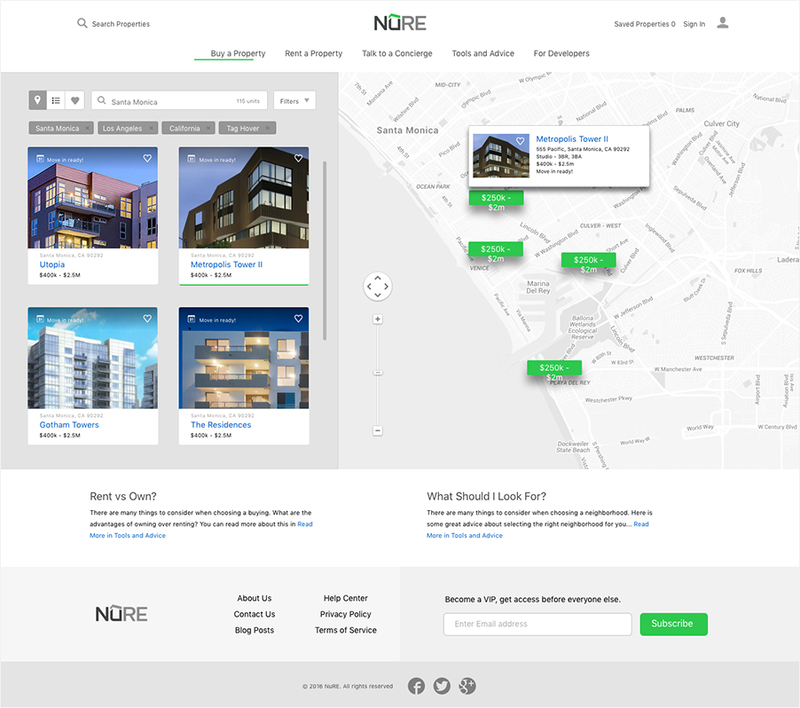 NuRE had a very challenging user goal for two distinct users: buyers of the large scale condominiums and the developers of those condominiums who wish to sell them. Worked closely with key stakeholders to create a unique flow for each user type. 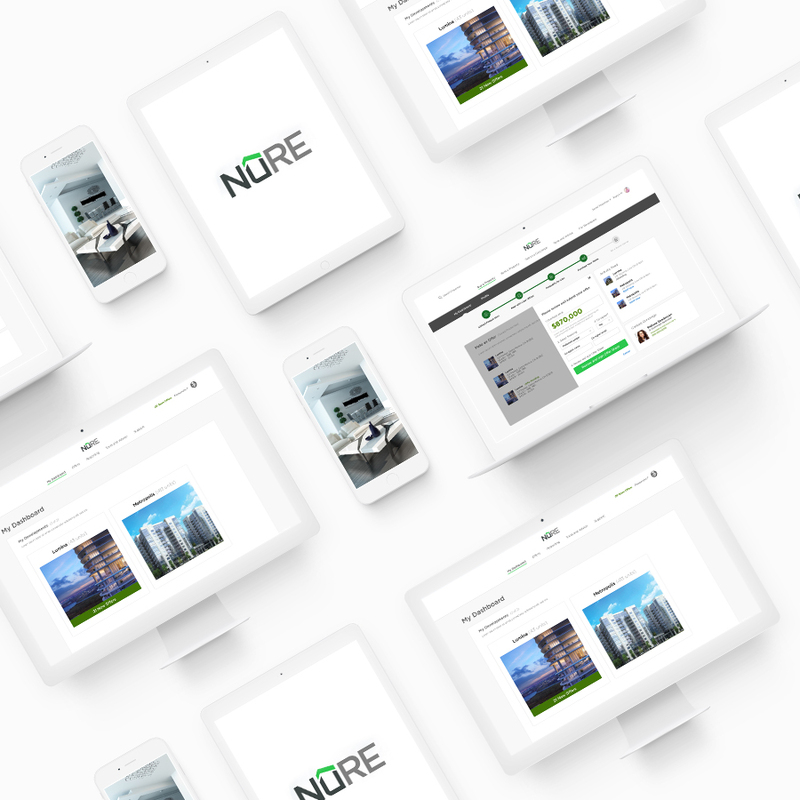 Through multiple iterations of wireframes and high fidelity comps, along with brainstorming sessions, was able to create an experience that’s truly unique for the NuRE brand. 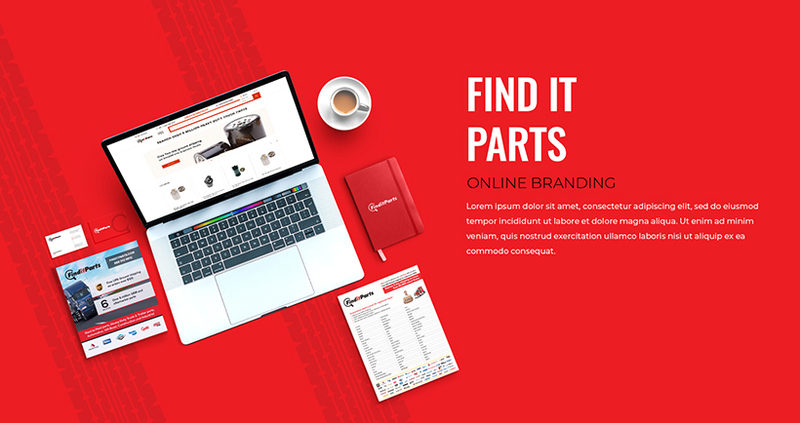 Designed and developed to respond to the user’s unique search needs with calm but bright colors and easy access points. Personalized Dashboard Designed for each user group to access important information with minimal search or unnecessary hassle. UX/UI Testing UX evaluations to test for seamless process to transitions, and user satisfaction. 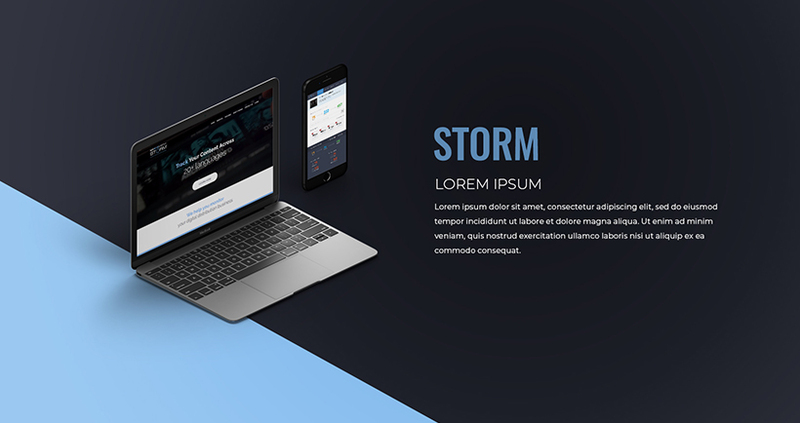 With over 15 years experience in the digital space, we are ready to support your brand, team, and product through exceptional user experience / user interface design and development.